Is the historical Adam a “Gospel” issue? One of the many issues which comes up related to the debate over the historical existence of Adam and Eve is the relation of Adam to Christ. Specifically: does undermining of the reality of Adam’s historical person undermine the work of Christ? Here, we’ll explore that question. 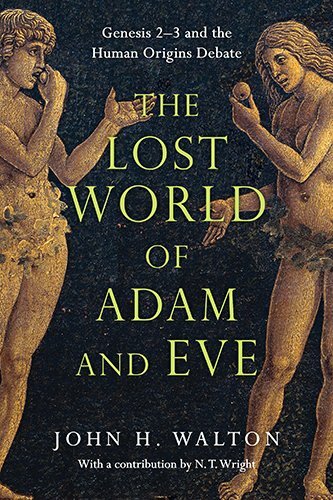 To be clear: we are not here exploring whether or not Adam really existed or whether there really was a real pair, Adam and Eve, from whom all humanity sprang. Rather, the question is this: if one denies the historical Adam and Eve, does one undermine the Gospel of Christ? Whatever one thinks of the answer to the question of the historical persons, one should consider the answer to this question as well. There are many issues to be addressed, so this post will only touch on a few. Write a comment to let me know your own thoughts or other issues you think of. In order to ask whether the history of Adam is a “Gospel” issue, we must first consider exactly what is meant by a “Gospel” issue. Definitions are important, and my own search for the meaning of this term yielded a whole range of definitions. Thus, I’m going to focus on a kind of working definition: to say something is a “Gospel” issue is to say that a specific doctrine, if untrue, undermines the Gospel [here meaning the glorious truth of salvation through Jesus Christ] and possibly one’s salvation itself. In the definitions I’ve found, and the use I’ve seen of this term, I believe this is an accurate understanding. Barrick’s argument seems pretty clear: if no historical Adam lived and acted in the Fall, then what reason is there for Christ to come as the second Adam and restore humanity to God? If Barrick’s argument is successful, it does seem to establish that the historical Adam is indeed vital to an understanding of the truths of salvation. Denis Lamoureux takes up the challenge of restoring confidence in the possibility of the Gospel without an historical Adam. His argument is instead that when “behaviorally modern humans” showed up (about 50,000 years ago), they broke their relationship with God (he does not make explicit how this may have occurred). Moreover, he argues that Barrick’s argument is unsuccessful because it is a non sequitor–the conclusion simply doesn’t follow. Is it really the case, Lamoureux asks, that the reality of sin “depend[s] entirely” upon a historic Adam (Lamoureux, 229)? Barrick’s argument was simply to appeal to the requirement for sin to be an action against God (itself a disputable claim–does sin really require action or is it possible to have [actually] sinful inclination?–but we’ll set that aside). Lamoureux notes that saying there was no historical Adam does not undermine or remove the reality of sinful activity. So is the historical Adam a “Gospel” issue? Returning to our definition, it seems to me fairly clear that one’s salvation is not determined by whether one believes in a historical Adam. The foundation of faith is Christ raised from the dead (1 Corinthians 15). Lamoureux is right to point out that the Gospel is ultimately the message of our salvation through Jesus Christ. The first part of our definition, however, asks whether the grounding for this salvation might be undermined. Romans 5:12-21 seems to demonstrate that Christ came to save humanity as the second Adam, and that a real person, Adam, really did sin and created the need for salvation. Lamoureux’s counter to this is to argue that such statements are divine accommodation–that is, Paul did believe in a single, historical Adam, but that doesn’t mean there was one. The debate over this must wait for a different post, but for now I’ll just say that although I think there is divine accommodation in God’s revelation, I’m not convinced it involves allowing for very clearly false statements (such as the claim that Adam existed if Adam did not exist). So if there is no historical Adam, it seems to me that this entails at least a denial of the specificity of the text in Romans 5. Thus, one could say that this undermines the basis for salvation. However, if one is willing to strip down to the bare bones of “Mere Christianity,” might one still preserve the Gospel? At this point I say yes. The basis for our salvation is belief in Jesus Christ, not belief in Adam. This does not mean that I think the historical Adam is unimportant or non-existent. Rather, I would say that anyone who does wish to say the historical Adam is necessary for salvation has yet to demonstrate that claim. Check out other posts on the origins debate within Christianity. 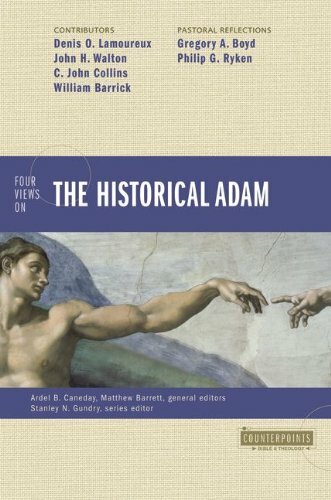 William Barrick, “A Historical Adam: Young-Earth Creation View” in Four Views on The Historical Adam (Grand Rapids, MI: Zondervan, 2013). Denis Lamoureux, “Response from the Evolutionary View” in Four Views on The Historical Adam (Grand Rapids, MI: Zondervan, 2013). Sunday Quote!- Can Randomness have Purpose? While we’re on the issue of purpose, let’s look briefly at a common misunderstanding–that randomness rules out purpose. It is often claimed that randomness [which]… prevail[s] in the fundamental processes and events of biotic evolution rules out the possibility… [of] any preestablished purpose… Suppose there were a perfectly honest gambling casino in which no game was rigged–every[thing]… was authentically random. Does that rule out the possibility that the outcome of the casino operation cannot possibly be the expression of some preestablished purchase? Clearly not. In fact, the operators of the casino depend on that very randomness in their computation of the payout rates to insure that they will have gained a handsome profit… (168, cited below). Apart from the strangely worded question he asked, Van Till’s point is that there may be purpose even with randomness: a truly random casino can still be oriented toward the purpose of making money. Thus, Van Till reasons, God could have done the same thing with the entirety of creation. Now, I think this is an interesting claim, and I also think there is some plausibility to it. However, there does seem to be a significant disanalogy as well: the casino operators don’t care about the outcome of the random games, because their overall outcome is to have monetary gain. Presumably, however, God would care about the outcome of the randomness. Just having any creatures come from evolutionary processes would not seem to fit God’s plan as established in Genesis (creation, fall, redemption, consummation). Instead, there would have to be creatures capable of participating in that plan. Of course, Van Till might simply reply by saying that God would have known the outcome ahead of time and so that’s not at issue (or some similar response). What do you think of the notion that chance or randomness may have purpose? If not, why not? If so, do you think this may be applied to evolution as Van Till does? What other applications do you think this may have? Howard J. 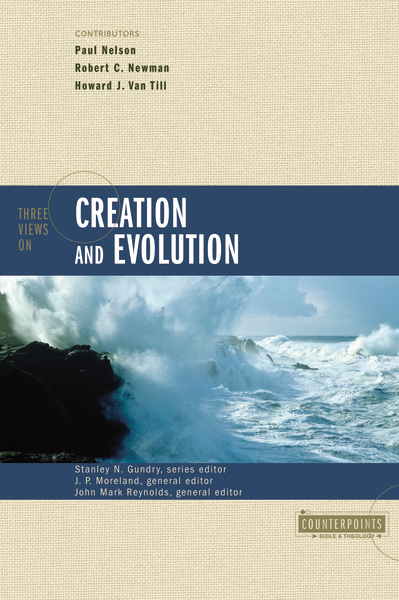 Van Till, “The Fully Gifted Creation: ‘Theistic Evolution'” in Three Views on Creation and Evolution edited by J.P. Moreland & John Mark Reynolds (Grand Rapids, MI: Zondervan, 1999). Who Made God? by Edgar Andrews offers a witty, heady read for Christians looking to interact with some of the most recent scientific theories. Targeted at Christians who have been befuddled by the latest scientific theories, interested skeptics who want to see if Christianity has anything to say about science, or Christian apologists looking to bolster their scientific knowledge, the book is a resounding success. Interestingly, Andrews gets the title of the book out of the way quickly. Andrews argues against the common atheistic retort, “Well if God made everything, who made God?” He writes, “Because cause and effect is only proven for the physical world, we can no longer insist that cause and effect are relevant when it comes to the origin of a spiritual entity like God.” I am not sure about the strength of this response. It seems to potentially put God outside the rules of logic, something of which most theists are very wary. A more convincing response, in my opinion, is to simply point out that the concept of God includes necessity. 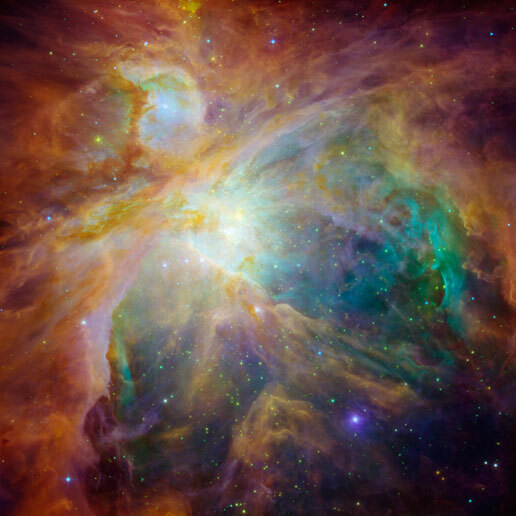 Theistic arguments are designed to show just this–that God is the uncaused ground of being. Who Made God, however, quickly jumps into stride and doesn’t look back. Andrews lucidly argues that while science can describe events and put them to the test, it cannot explain things in the sense of a comprehensive explanation. Science, for example, “doesn’t tell us why there is [a force of gravity]” (30). Without slowing down Andrews jumps into a clear explanation of String Theory and its attempts to be a “theory of everything.” Even were science to unify into a theory of everything, however, Andrews point would still stand. The theory would offer descriptions of how things happen, but it wouldn’t explain why the theory itself worked. He also offers a few critiques of string theory, such as the counter-intuitive nature of the theory (48). Andrews continues on, offering God as a “hypothesis.” He argues that “the methodology of science” can be applied to God (58-59). He argues that Victor Stenger’s God: the failed hypothesis fails on a number of levels. Stenger claims that God “should be detectable: (1) by scientific ‘models’; (2) by scientific measurements… (3) by scientific ‘methods'” (67). Against this, Andrews points out that Stenger is trying to exclude God from existence by “having it both ways.” Stenger argues that God should be detectable, but cannot be because the measurements of science are restricted to the physical. Obviously, this begs the question against theism. Andrews also addresses nothing, by which I mean the redefinition of “nothing” into “something” often done by atheists (see the debate between Lawrence Krauss and William Lane Craig). He points out that they often use “nothing” to reference vacuum and/or empty space or dark matter. But this is either deliberately misleading or just incomprehensible (97ff). As the atheists who say this often admit themselves, this “empty” space is hardly “nothing.” It is full of energy. But beyond space, beyond the existence of our universe, outside of space and time–that is what is meant by “nothing” (105). The God hypothesis is vindicated when it comes to the evidence from astronomy and physics. The low entropy state of our universe (117-118), along with its origin (98ff) both point to a creator. Andrews moves on to argue that the origin of the laws of nature must also point to the God hypothesis (138-153). He then goes on to argue that our biological origins, the information found in cells, and the diversity of life have their best explanation with God. To cover these arguments fully would double the size of this review, but I found these arguments just as exciting as the rest of Who Made God. A sampling: proteins and DNA must have information in order to function correctly (181ff); origin of life theories can only be explained with the God hypothesis (196ff); evolution is nonfalsifiable (214-216); natural selection is a tautology (219-220); junk DNA isn’t junk (234ff); mutations really only help within dynamic populations and cannot lead to new species (230ff [through 240]). Andrews isn’t finished there, however, he tackles arguments for and against mind/body dualism (250ff). Another strength of Who Made God is the format. There is a summary of each chapter prior to its contents, along with definitions of important terms. Humor is found throughout the work as the author tells funny stories or makes witty comments about the arguments. These aspects increase the readability of the book to a great degree. This is not to say the book is without faults. Andrews’ treatment of the Ontological Argument was a bit abrupt. I’ve written on the argument before (see my posts here and here). Andrews’ critiques don’t apply to the most current versions of the argument. The most commonly used ontological argument is the modal version developed by Alvin Plantinga and others. This version of the argument doesn’t appeal to human ideas, but to modal necessity and possibility. To his credit, Andrews does point out that some philosophers find the argument compelling. Another issue with Who Made God is the sometimes unconventional use of philosophical terms. For example, Andrews defines “phenomenology” as “The way phenomena… manifest themselves” (27). Phenomenology, however, is most commonly used (in philosophy) as the study of consciousness. Outside of philosophy, it generally refers to conscious experience or sense experience, not so much about the phenomena themselves. While the definition is not wrong, it caused some confuse, and may confuse other readers familiar with the other, more conventional uses. Another uncommon definition was given for “Monism.” Most often, the term refers to the idea that all of reality is one [i.e. it is all material, or all immaterial]. Andrews definition makes sense in context (he defines it as “The idea that mind is nothing more than the brain at work”  but that definition in philosophy of mind is more often used for “reductionism” which Andrews defines differently as well). However, neither of these negatives outweigh the significant positives found throughout Who Made God. You know that I’m nitpicking when my main critique focuses on a couple unconventional definitions, particularly when Andrews uses valid definitions that simplify the terminology for the reader. 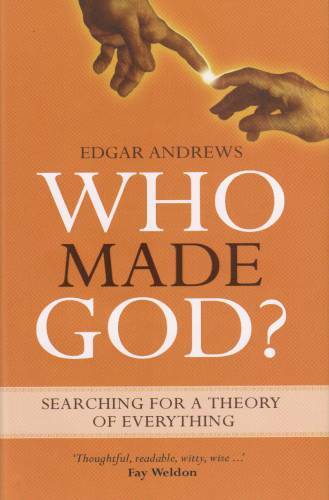 Edgar Andrews’ Who Made God is unique among the slew of apologetics books written at a popular level in that it offers a nearly comprehensive argument for Christianity based upon various scientific theories. Despite a few small flaws, I unreservedly recommend this book to all Christians looking to increase their knowledge of biology, physics, and astronomy. Andrews clearly and succinctly explains several scientific theories in terms which are easy to understand, while also showing the relevance for the “God hypothesis.” Readers will come away convinced that when it comes to science, their faith stands on firm ground. Books with scopes this broad most often shine their lights upon lots of topics and illumine none. Readers will find that Who Made God illumines nearly every topic it touches, bringing new insight and clarity into often confusing issues. Source: Edgar Andrews, Who Made God? (Darlington, England: EP books, 2009). Disclaimer: I was provided with a review copy free of charge by EP books. My thanks to both Edgar Andrews and EP books. I recently read a very interesting article on theistic evolution by Loren Haarsma and Terry M. Gray entitled “Complexity, Self Organization, and Design.” Interestingly, I found what I think are some of the most interesting arguments for the theistic evolutionist position, but I also found some of the hardest objections to the position (scientifically) that I have stumbled across. I’ll start with the interesting evidence for their position. First, they note that the word “design” doesn’t belong exclusively to the Intelligent Design theorists, because theistic evolutionists argue that God designed the initial laws which gave rise to evolution and eventually humanity. In other words, God foreknew and intended for mankind to evolve, and set up the laws such that we would (or at least that some sentient beings with which God intended to interact would arise, 289). They further argue that “With the right set of rules, a random, iterative process can start with a simple environment and self-assemble a complex environment” (293, emphasis theirs). The arguments for this position are interesting to me, and I am no scientist, but it seems to me that the three ways from which they argue for this possibility make more sense to me if there is some kind of intelligence behind the process. It seems to me that 1) could be simply incorporated into laws at the beginning of the universe (but these laws would have to be designed, as the authors point out). 2) seems to me as though it simply couldn’t be totally random. For evolution to work, on the understanding I’ve gleaned from my readings, the complexity would have to aid the survivability of the entity. I think a problem here is that there is no way to determine when/why/how the random interactions suddenly latch onto those things which are helpful. If it truly is a random process, then it would randomly continue to select for characteristics, casting off old ones and making room for new ones. Incorporating natural selection doesn’t seem like it would help much here either, because then those random selections which are negative would terminate the species. So my problems with 2) are twofold (even granting that God Designed the laws such that these interactions would occur): 1. there doesn’t seem to be an explanation for the process stopping the random selections (and therefore keeping the trait); 2. we aren’t talking about computer algorithms here, we’re talking living entities–if they select the wrong traits, they die. Ultimately I found these arguments interesting reading, but I just don’t see how they support Theistic Evolutionism more than, say Intelligent Design. The authors do make the interesting point that it could have been the case that God set up/designed the laws such that life would arise, but the ways that complexity is integrated into the process seems to me, at least, to demand further explanation. Haarsma, Loren and Terry M. Gray, Complexity, Self-Organization, and Design, in Perspectives on an Evolving Creation, edited Keith B. Miller, p. 288-309. Theistic Evolution’s (hereafter TE) primary problem for the Christian is, of course, theological in nature. Perhaps the greatest challenge to TE is the doctrine of original sin. Recently, I investigated what advocates of TE had to say about this doctrine. These passages seem to suggest that Adam was indeed one man, just as Jesus is one man. Collins argues, utilizing Swinburne’s argumentation in Revelation, that a speaker’s message does not necessarily include the presuppositions as part of the intentional conveyance. One immediate problem with this (though Collins seems to view it as a bonus) is that Paul is seen as either not necessarily believing what he was saying–which seems unlikely–or he was profoundly mistaken in his presuppositions. The statement is to be distinguished from the presupposition. “The statement is whatever the speaker, by public criteria, is seeking to add to the existing beliefs of the hearers” (Swinburne, Revelation, 30). The problem is that I don’t think this argument applies here, for it seems that Paul is not just presupposing that there is one man, but also utilizing that presupposition as part of what he is seeking to add to his hearers’ existing belief. For Paul is saying that it is one man through whom all mankind fell, so, too, is it one man through whom all mankind is saved. The argument that Paul and his hearers shared the presupposition of one man, and therefore this is not part of his intended message, misses the context of Paul’s message. For Paul makes this statement in his letter to the Romans, not to fellow Jews who shared his presuppositions! Therefore, it seems to me that although the “one man” part of the statement could be taken as a Pauline presupposition, it is also part of the message conveyed. He is intending to add to his hearer’s existing belief (borrowing from Swinburne’s phrasing) that one man fell for all and one man atoned for all. This message is almost vacuous on an account which inserts possibly thousands of hominids in for the first “one man” (something Collins has no hesitation doing, see page 481 “…understand Adam… as theologically representing both everyman and the very first members of the evolving group of hominids that had gained moral self-consciousness”). I see no reason to accept such an interpretation textually. I reject 4 as incompatible with sound formulation of doctrine. I’ll not specifically address his argument point-by-point as that would fill up too much space. The main problem with Collins’ account of original sin is that it trivializes certain Bible passages (notably Psalm 51:5) and misinterprets others. But I don’t want to get into the finer details of his account. I think that Collins’ account is actually extremely weak. Only those willing to accept point 4) above will be able to take such a view on original sin as possible. Is there a way for TEs to avoid this uncomfortable assumption? I think there is. Original sin, on TE, can be almost what it is on other views. The key feature is to point out (as Hugh Ross, an Old Earth Creationist does) that it is only human death that is explicitly seen as the consequence of sin. Thus, God can be seen as letting evolution happen until beings capable of moral reasoning evolve, then specially creating souls within humans or setting souls up in such a way that they emerge from humans (the latter view seems less plausible, but I’ll ignore that for now). God chose two specific hominids, planted souls in them, and placed them in a garden. The rest of the Genesis story can be taken fairly literally, with some modifications here and there, and original sin loses no meaning. Thus, the TE needs to acknowledge special creation of 1) The universe/matter/etc. and 2) Human souls. This doesn’t seem like an implausible “out” for the theistic evolutionist. Finally, I want to address a few minor points in Collins’ essay. The first is that he seems to think special creation is somehow a negative thing. When critiquing other views, for example, he asserts that if God brought Adam and Eve into the garden to speak with them, He’d have to teach them a language, “which would involve a major act of special creation” (493). This is counted as a negative against a sort of Old Earth Creationist account. But I’m then curious as to what Collins thinks of the creation of the universe! Surely this “special creation” is an even more major act than teaching some animals to speak a language! I don’t see any plausible way for a Christian to use the presence of divine action as an argument against other views. Second, Collins seems to reveal some tendencies of agreeing with Intelligent Design (p. 496ff, for example, he argues for “theistically guided evolution”–how does this differ from ID?). Thus, I think Collins’ view of original sin on TE is actually a weaker argument than that which can be made. I think the theistic evolutionist can augment his/her view with some acts of “special creation” and thus maintain a view that allows for inerrancy of Scripture without having to twist it as much as Collins does. Perhaps, however, I’m merely reflecting my own tendencies rather than accurately representing TE. If this is the case, however, and TE simply cannot coincide with the doctrine of inerrancy, for example, then I find this a strong reason for rejecting TE, particularly in light of competing models like intelligent design or Hugh Ross’s RTB Model. Collins, Robin. “Evolution and Original Sin.” Perspectives on an Evolving Creation. Edited Keith B. Miller. Wm. B. Eerdman’s. 2003. This is part of a series of posts on the means by which life came about within Christianity. See other posts on the topic here. Last time I wrote about theistic evolution I mentioned I was quite excited to get into some the scientific side of the debate. I delved into that a bit with my first post on old earth creationism as well as in my post on young earth creationism. While I think that perhaps the biggest problem with theistic evolution from a Christian view is theological, I do believe it is important to examine the scientific aspect of all sides of the debate as well. Thus, I turned to Perspectives on an Evolving Creation, a work full of essays on theistic evolution, to give me the scientific aspects of theistic evolution. Common descent is central to the notion of atheism. Often, common descent is the source of objections to the theory of evolution (Miller, 152). Common descent is the assertion that all life on earth is descended from an “unbroken series of ancestor-descendant relationships to a single ancestral life form” (Miller, 152). Perhaps the most frequent objection to this is the sparse distribution of the fossil record. Miller argues that the fossil record, rather than being incapable of demonstrating common descent, provides “persuasive evidence for macroevolutionary change and common descent” (153). He quickly qualifies this statement, pointing out that most often people either assert that the fossil record is so sparse that nothing can be demonstrated by it or that it is so complete that all details can be brought to light. Miller then points out the vast problems with trying to fill in a fossil record which, according to evolutionary theory, covers hundreds of millions of years. 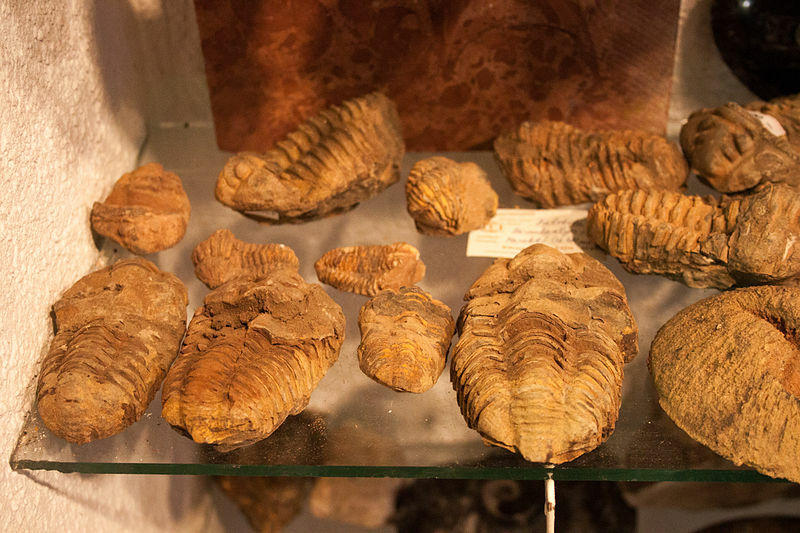 Some of these problems include the infrequent fossilization of soft bodied or thin-shelled organisms, environmental factors such as weather, scavengers, or water levels, erosion, irregular sedimentation, etc. (154-156). Transitional forms also encounter the problems of classification. The way species are categorized can directly affect whether a species is seen as a transitional form. “The grouping of organisms in a classification scheme does more than describe nature: it also interprets it” (158). Miller goes on to discuss two types of classification: the Linnean and cladistic classification. Linnean classification views species as types. One individual is seen as the ideal “archetype” of the species, while all others are compared to this “archetype” and then seen as types or offshoots of this individual. This, argues Miller, “exclude[s] transition[al fossils] by definition” (158, emphasis his). Cladistic classification, by contrast, assumes an evolutionary scheme and places animals into overarching schemes based on such assumptions. Thus, species may not be grouped so much by common characteristics as they are grouped by characteristics seen as having a common ancestor (159). Interestingly, this section seems to echo one of the statements I remember from a talk on Young Earth Creation I listened to on campus, in which the speaker stated that often scientists can look at the same evidence and come up with completely different interpretations–even though the evidence is the same. I’ll be keeping this in mind in my future interactions with the varied positions in this dialogue. Here, it seems the cladistic classification is preferred, though one may ask whether this is because one wants to presuppose evolution and move from there, or if it is because the fossil record points more readily towards evolution. Did the evidence lead to the classification or did the classification lead to the evidence? Transitional forms often are attached to misconceptions. Miller warns against assuming that such a form would appear as a logical step from one type of animal to the next. Rather, he states that “Such forms will be unlike anything living today”. This is because “transitional forms are found by moving down the tree of life into the past, not trying to jump from limb to limb” (161). Thus, when thinking of transitional forms, rather than seeing a kind of orthogenesis (one step at a time) that would suggest, perhaps, species 1 => species 2 => species 3, the view should be a branching phylogeny which looks more like a tree than a straight line. Thus, transitional fossils could be radically different from the species to which they gave rise (163). After this point in his chapter, Miller goes into some examples of just these types of transitions viewed in the fossil record. His examples include reptile-to-mammal evolution, a land creature-to-whale evolution, horses, tapers, rhinos, etc. having a common ancestor, and others (164-180). Due to such transitional evidence in the fossil record, Miller concludes that “transitional fossil sequences between higher taxonomic groups are a common feature of the fossil record” (180). One may question Miller on a number of points in this chapter. The different classification systems is one presupposition that must be made. Another objection that came to my mind as I was reading was the definition of transitional fossil. Again, it seems as though the definition may be changed to fit the theory, rather than the theory changed to fit the definition or the evidence. Why couldn’t it be that transitional fossils are just what intuition suggests, and there really aren’t too many? Rather, the assumption seems to be that other fossils may be used for the transitions. Why make such an assumption? Is there any reason to push the transitional definition to the usage Miller is endorsing? I don’t know. I enjoyed Miller’s chapter greatly. It is always nice to get a breath of fresh air amidst my readings of analytic philosophy or epistemology. I have enjoyed this series greatly, and I can’t wait to continue. Finally, in closing, I would like to note two things again. The first is my stance on this whole debate: I believe the Bible is the inerrant Word of God, I believe that God did and does directly intervene in creation and the universe, and I believe that God has been and always will be the creator and sustainer of the universe. Thus, I am biased, just as anyone who approaches such questions is. Second, I have noted before that this series is meant to be for the in-house Christian debate on these matters. I’ve had a number of caustic comments thrown my way from those uninterested in such a debate. I welcome non-Christians to the discussion, but only if they can participate in a civil manner. Miller, Keith. “Common Descent, Transitional Forms, and the Fossil Record.” Edited Keith Miller. Perspectives on an Evolving Creation. Wm. B.Eerdman’s. 2003. This post is the second in a series discussion the Argument about Creationism/Intelligent Design/Evolutionism in Christianity specifically. Click here for links to the rest of this series. Theistic Evolution is probably the group I am farthest from, largely because I do still see some problems with the evolutionary theory (noting that I am no scientist or expert in the field) and I also have problems with the theological arguments advanced by Theistic Evolutionists in supporting their view. 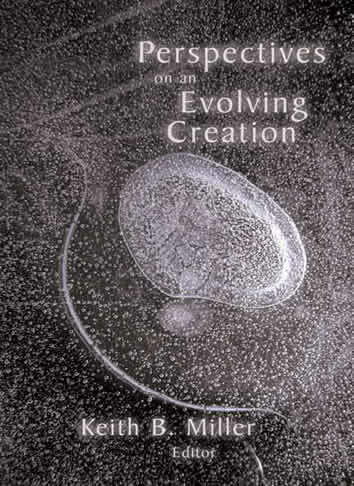 I have decided to start off by reading a selection from Perspectives on an Evolving Creation, edited by Keith B. Miller. I start with Theistic Evolution because I want to survey fairly as many sides of the debate as possible. The article I started with is called “Christology, Evolution, and the Cross” by George L. Murphy. The essay is exclusively a theological one; it is dealing with the issue of Christology in light of evolution. Murphy argues that God, on evolution, can be seen as working in the world just as He worked in the world through Christ. Christ humbled Himself when he became man. So, too, argues Murphy… “God voluntarily limits his action in the world, rather as a parent limits what he or she does to allow a child to grow and gain some understanding of its world and control of its environment and life” (372). Further, Murphy argues against those who may accuse Theistic Evolutionists of being deistic in nature. He states that “God does not simply stand above the evolutionary process and make it happen. In the incarnation God becomes a participant in the process…” (375). Thus, God does in fact participate in a very theistic manner. Further, Murphy raises a point I find very interesting (if initially somewhat strange). If evolution is true, then God coming as fully human includes that evolutionary history within mankind. Thus, Jesus, the incarnate God, literally takes the sins of the world upon Himself. Not just the sins of mankind, but all things. Murphy cites Colossians 1:20 (here in context with 19) “For God was pleased to have all his fullness dwell in him [Jesus Christ], and through him to reconcile to himself all things, whether things on earth or things in heaven, by making peace through his blood, shed on the cross.” Murphy argues that on Theistic Evolution, people can take this quite literally. Being fully man and fully God, Christ was taking on the reconciliation of all things (having the history of creatures’ DNA), not just mankind. Jesus is the liberation that all creation was looking toward (385). I find these points something to think about for a while, but I must object to Murphy’s view on a few aspects. Murphy, following the quote cited from page 375, states that God is redeeming the “…losers in the ‘struggle for survival’–for in the short run Caiaphas and Pontius Pilate are the survivors. And the resurrection of the crucified means that natural selection, important as it is as an evolutionary mechanism, is not God’s last word. There is hope for those who do not survive” (375). I’m really not sure what to make of this. I think that Murphy is reading way too much into these verses. It seems that he does this often–reading evolution into parts of Scripture that don’t even seem to closely reflect it (if, indeed, any of Scripture can be said to reflect evolutionary theory, a claim that I find dubious at best). But taking his argument as it stands, it seems fairly interesting. Looking at the large scheme of things, a Theistic Evolutionist can offer an apology for Christianity from an argument of this sort. Why does God use death (natural selection) to bring about good (i.e. humanity and later redemption)? The Theistic Evolutionist can now answer “Christ is the answer” (just as one may answer with Covenantal Theology the problem of evil). Christ came in order to give God’s final answer to the perceived wrongness of the world. He came to promise an eternal life and redemption to all creation. It’s certainly a very different view than anything I’ve read before, and one I will contemplate as I continue my studying. Ultimately, I’m not convinced by Murphy, but I think that he has shown me that the Theistic Evolution side does take Scripture seriously and that they are very sincerely Christian. He notes that “Every aspect of genuine human nature is saved only by… God in the life, death, and resurrection of Christ” (379). There are some major problems with Theistic Evolution that I maintain. The first is an explanation of the “Image of God” in mankind. If man is simply evolved from lower lifeforms, what is the “Image of God”? Further, how does one perform Theistic Evolutionary exegesis (not eisegesis) on God’s special creation of man out of dust? The second major problem is original sin. If the wages of sin are death, how was their death before sin? These are questions that stand unanswered as of yet in my reading, and I don’t see any easy answers forthcoming. Some criteria, on my view, for an acceptable explanation of the origins of life include: 1) God’s specific interaction with nature in a theistic, rather than deistic sense (and I believe Murphy may have dealt with this on a small scale in his essay) 2) An adequate explanation of original sin and its meaning with creation and the origins of life (and must thus include an account of redemption through the divine Christ), and 3) An adequate explanation of the special creation of Adam and Eve. These points still have some pretty heavy weight against theistic evolution. I want to note that one very valid point that Theistic Evolutionists make is that, as far as scientific inquiry goes, critics of evolution must offer a competing scientific model. It’s all well and good to criticize evolution and point out the flaws in the theory, but what can replace it? One may try to answer that this seems like a positivistic claim- why should we, as Christians, have to argue within current scientific means for a Creationist account? I think that this counter is ineffective, however, as it is true that scientifically speaking (not philosophically or religiously speaking), one must offer a competing model if one wants to overthrow the current one. This is a question I will be exploring in the future, as I have read parts of works in which competing models are indeed offered (such as Intelligent Design or Hugh Ross’s “Creation as Science” model). I’ve been getting into a bit of a rut with what I’ve been reading, and this kind of makes all of it fresh again. I’ll be interspersing theological articles and books throughout. For me, the most important thing in this debate is Scripture and sound doctrine. Whatever side is right is that which stands closest to the absolute authority and truth of God’s Word. I’m looking forward to looking at the scientific aspect of the debate, in order to see how the sides present their cases. Murphy, George L. “Christology, Evolution, and the Cross.” Perspectives on an Evolving Creation. Edited Keith Miller. 2003. Mere Creation. Edited by William Dembski. Ross, Hugh. Creation as Science. Ross, Hugh. More than a Theory. Behe, Michael. The Edge of Evolution. Behe, Michael. Darwin’s Black Box. Ham, Ken. The New Answers Book 1. Van Fange, Erich. In search of the Genesis World. Strobel, Lee. The Case for a Creator. Collins, Francis. The Language of God.